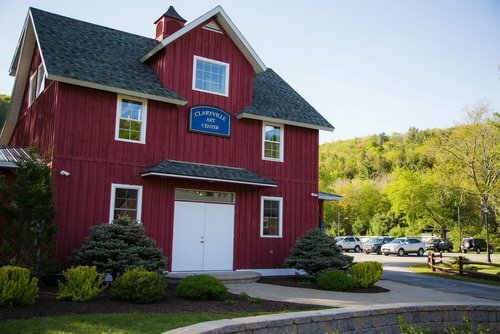 Nestled in the picturesque Catskill Mountain Hamlet of Claryville, in a valley surrounded by mountains, on the Neversink River, Claryville Center is a unique destination site comprised of food and lodging, art and event centers, a liquor store and a brewing company (to come). Our property is situated on the Neversink River, one of the most famous trout streams in the country and is just a short distance from the Willowemoc and Beaverkill River. A fisherman’s dream! There are also more than 40 miles of public accessible hiking, mountain biking and snowmobile trails. The beautiful surrounding mountains provide the best hunting in New York State. The Blue Hill Lodge & Café has been a mecca for huntsmen since its inception. For skiers, Claryville Center is 30 miles to either Belleayre Mountain or Holiday Mountain. Our motel and rental properties are just 30 minutes to the Resorts World Catskills Casino and the Monticello Raceway, the Bethel Woods Center for the Arts, the site of the famous Woodstock Festival in 1969, and the Town of Woodstock, where Bob Dylan and the Band recorded. If you are visiting the Frost Valley YMCA, the Blue Hill Café is your last chance for a great meal before you travel the last seven miles . Claryville Center is the full package as a destination site. Just a two hour drive from New York City . If you take a ride for the day you will stay for a week.